Peter Wilson and Ian McInnes led a tour of twentieth century architecture in Bexhill On Sea on Saturday 18th August 2012. 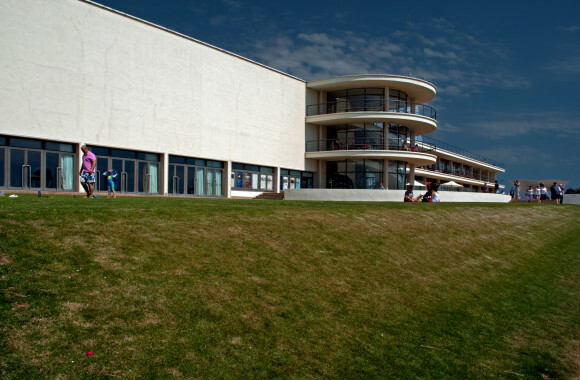 The day included a visit to the Grade I listed De La Warr Pavilion, the new extension to the Bexhill Museum and some 1930s houses and finished with some refreshments in beach huts on the sea front. Click on the image to see the full set of photos by Laurence Mackman on Flickr. 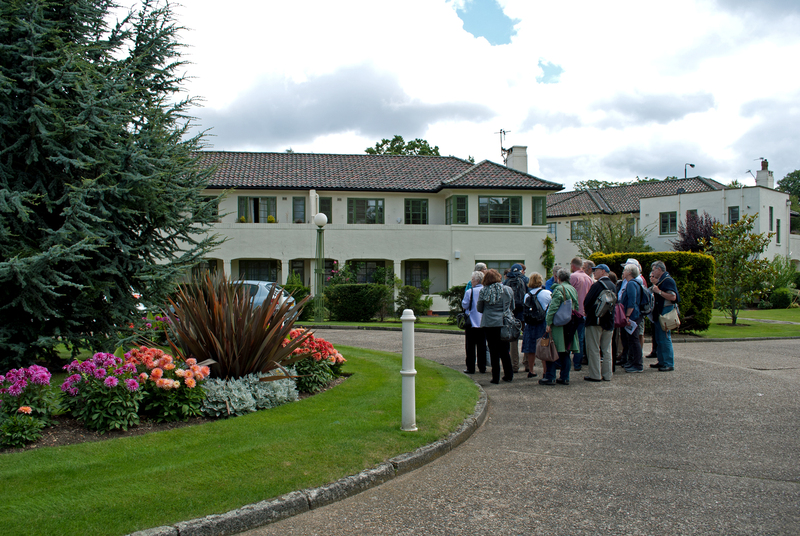 Alan Powers led a tour of 20th century architecture along the Thames Valley on Saturday 11th August 2012. 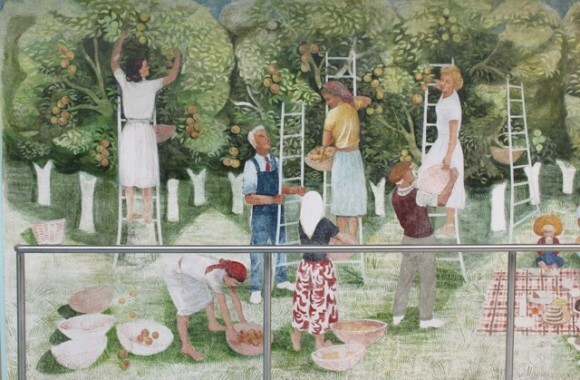 The day included visits to Maidenhead library, St. Crispin’s School, Wokingham, Sandham Memorial Chapel, Burghclere, Carmel College, Mongewell Park and the Stanley Spencer Gallery, Cookham. Click on the image to see the set of photos by Andrew Boddington on Flickr. Ian McInnes and Peter Wilson led a tour around Putney on Saturday 4th August 2012. The tour included visits to the Windermere Housing development, Heath Rise, Colebrook Close, Manor Fields Estate and the Elliot School, a current casework project for the society. Click on the image to see the full set of photos by Laurence Mackman on Flickr.